The JSE closed firmer on Tuesday following a flat trading session in which the index struggled to find a catalyst for direction. Local equities got off to a slow start after a mixed trading session in Asian markets. In Europe, shares were lifted following the agreement between Angela Merkel’s conservative party over a dispute concerning migration. The migration dispute was threatening to break the recently formed coalition government and bring more uncertainty into the Eurozone. Closer to home, the Rand strengthened to a session high of R13.67 as the US dollar eased from its overnight highs. At 17.00 CAT, the Rand was trading at R13.70/$. On the JSE, Steinhoff International jumped 31.39% to close at R1.80 per share. Metair [JSE:MTA] also recorded a significant jump of 9.06% which saw the stock close at R16.85. Imperial Holdings [JSE:IPL] closed at R208.20 per share after adding 5.42% while Adcock Ingram gained 3.49% to close at R61.41 per share. Gains on the blue-chip index were fairly modest, which saw Aspen [JSE:APN] climb to R264.00 per share after adding 2.82%, while Spar Group [JSE:SPP] closed at R190.40 after adding 2.05%. Clicks [JSE:CLS] posted gains of 2.91% to end the day at R200.12 and Life Healthcare [JSE:LHC] closed at R25.25 per share after adding 2.25%. 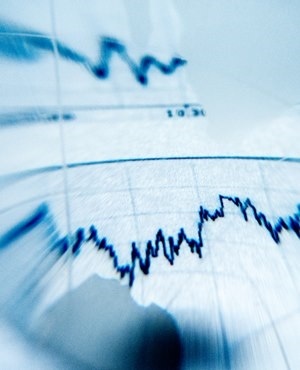 Bankers, First Rand [JSE:FSR] and Barclays Africa [JSE:BGA] gained 2.26% and 2.49% respectively. On the day’s losers, Glencore [JSE:GLN] came under significant pressure following news that they received a U.S. subpoena on compliance with money-laundering laws. The stock weakened by over 11% on the JSE before eventually closing 8.57% weaker at R58.54 per share. Capitec Holdings [JSE:CPI] closed at R853.00 after dropping 3.49%, while Grindrod [JSE:GND] lost 2.57% to end the day at R9.10 per share. Cement producer PPC Limited [JSE:PPC] weakened to R7.14 per share after losing 0.56%, while listed property stock Fortress B [JSE:FFB] lost 1.23% to close at R15.24. After a slow start the JSE gained momentum towards the close which resulted in the JSE All-Share index gaining 0.58% while the JSE Top-40 index notched up 0.60%. Brent crude surged to a session high of $78.55/barrel as concerns of supply outages outweighed the potential increases in output promised by OPEC. The commodity retreated to trade at $77.42/barrel just after the JSE close. At 17.00 CAT Gold was 1.02% firmer at $1254.14/OZ, Platinum was up 2.87% at 841.29/Oz and Palladium was 0.36% weaker at $944.82/Oz. Bitcoin was trading 0.98% softer at $6576.70/coin while Ethereum was trading 1.85% weaker at $467.11/coin.